Yardage - Whole Yards Only Note ! If you need to order more than the 31 Yards we currently have in stock, a larger quantity may be Special Ordered from the mill. In stock yardage is typically shipped within 2 business days. Special Orders typically ship in 7-10 business days. 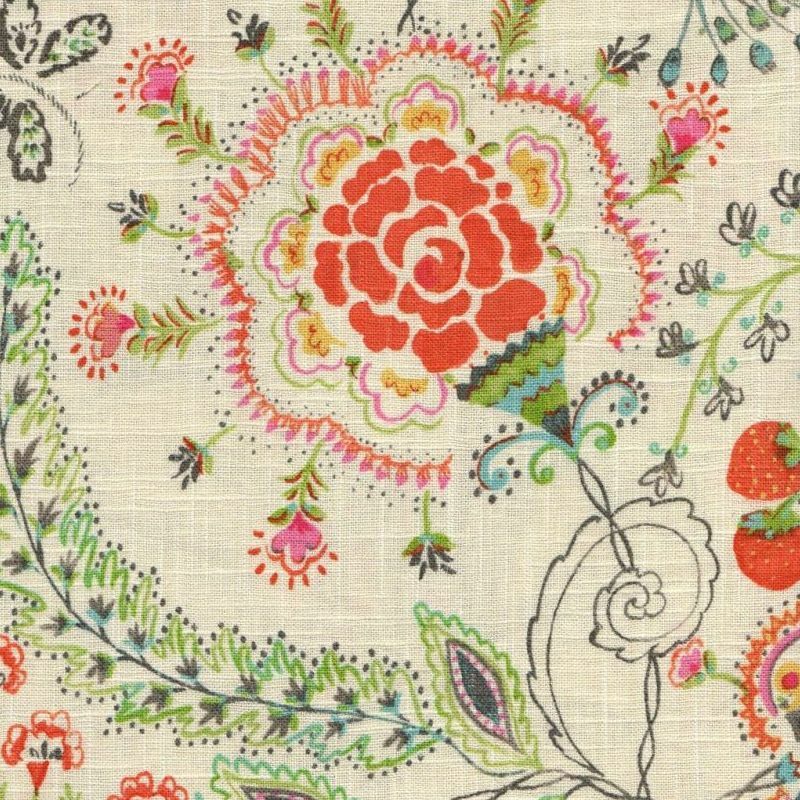 Dena Home Hidden Charms 900311 Sundance from the Fresh Canvas collection is a full coverage, whimsical print on a linen and rayon print cloth. The delicate bird measures approximately five inches in height with a tail that spreads four inches in width. The pattern repeat is Vertical twenty-seven inches and Horizontal thirteen and one half inches. A warm Cream showcases the colors Fuchsia, Strawberry Red, Spring Green, Leaf Green, Charcoal Grey, Aqua Blue, and Maize. Hidden Charms is suitable for drapery, curtains, cornice boards, table toppers, room dividers, pillows, cushions, bedding, headboards and furniture upholstery.